Tools, that's what defines a real man, right? 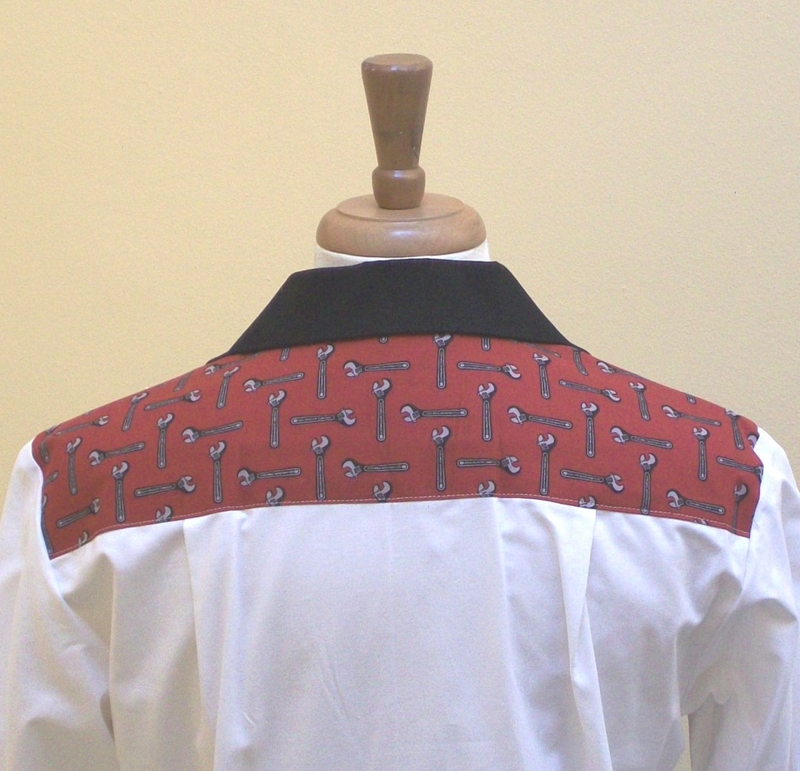 Then be one with this dark red option in the Be A Man series! 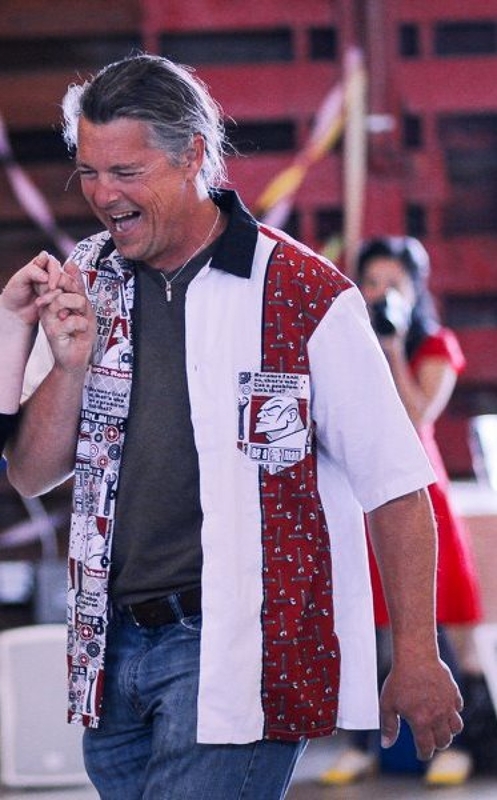 Show us your guns and get those tools ready; there's work to do, man. 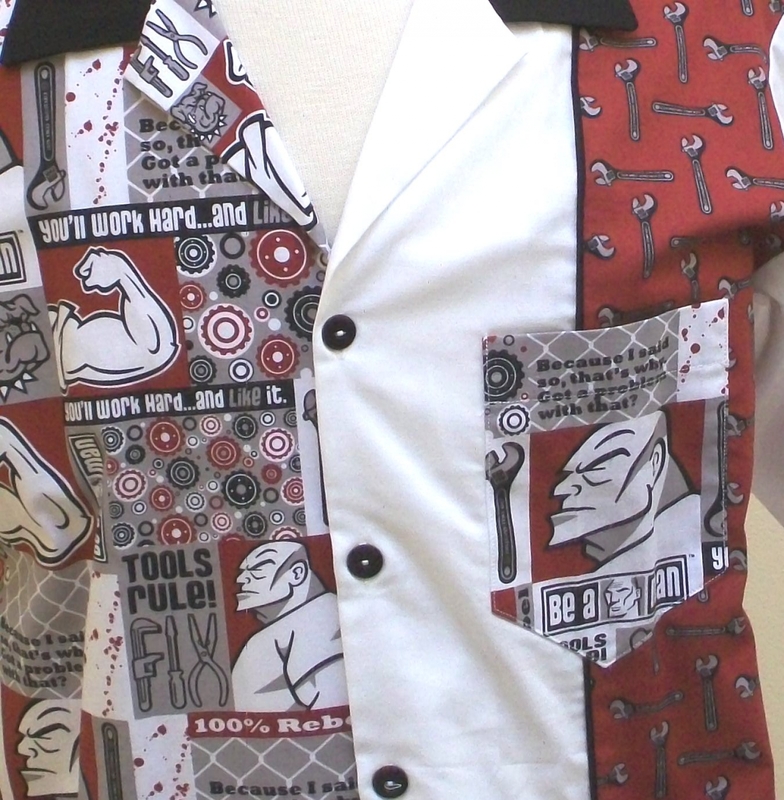 This single left front split is white with a contrasting print of wrenches, a black stripe and print pocket. 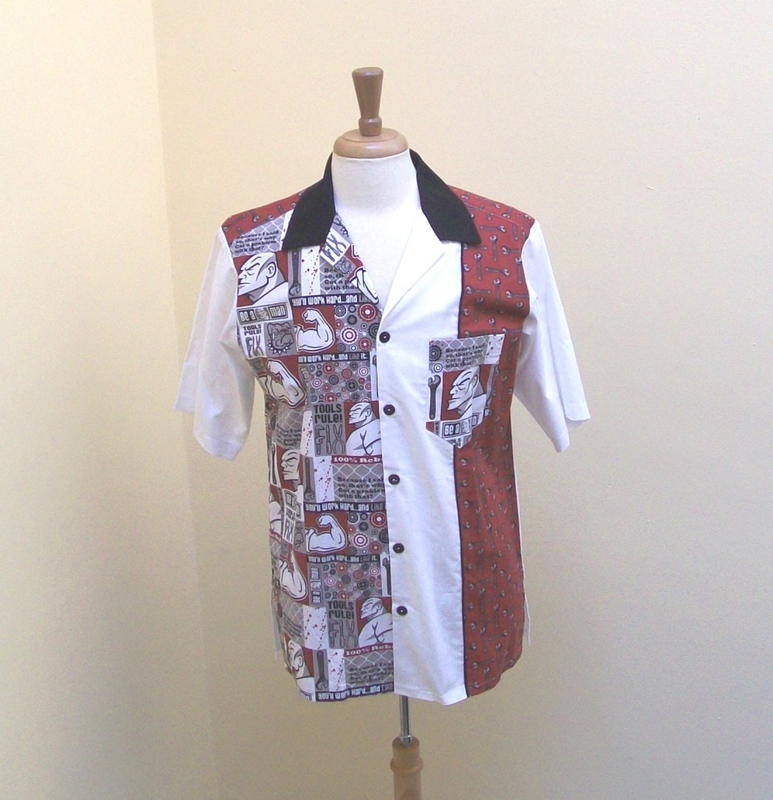 Right front full print, black collar, white body, contrasting back yoke and black buttons.